Whether you prefer a look that's both classic and timeless, or want a contemporary design, you'll be able to find what you're looking for when exploring our Residence 7 range. Call today for guidance and prices. Discover our Residence 7 windows, which are flush throughout, available in a range of styles and fitted with thoroughly modern technology. In terms of performance alone, few other products on the market can compete with our Residence 7 windows. The 7-chamber design that comes with each profile as standard will keep your home warm and help reduce your running costs. Explore the range of design possibilities by talking to Fox Windows & Doors. 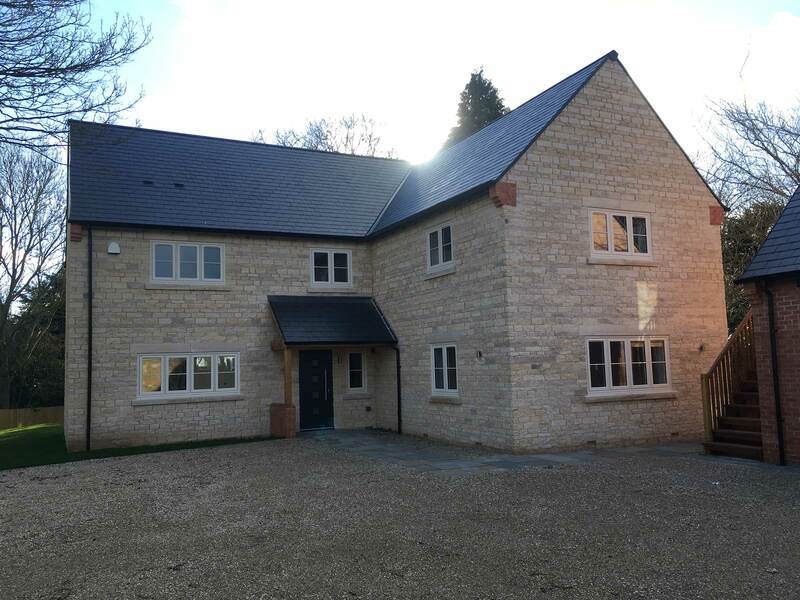 We have extensive experience of working on projects in Kenilworth, Leamington Spa, Warwickshire – and the surrounding areas – that used required knowledge of Residence 7 windows. All of our windows are designed and built to create thermally efficient homes. Once installed, your product could achieve a U-value of 0.8 - a rating that improves on existing Building Regulation recommendations. Your home will be warmer, more comfortable and cost-effective to run with newly-fitted Residence 7 windows. Create designs that are sympathetic to the character of your home by personalising your product how you wish. We can talk you through our portfolio of exclusive Residence 7 window furniture - and help you find the best colour scheme and finish. Contact us for guidance or get a free online quote using our window design tool. Our windows boast seven chambers and are 75mm in width - which is why its called the Residence 7 collection. It’s this technology that allows each installation we complete to deliver market-leading thermal and acoustic performance - while at the same time providing incredible protection from intruders with its 28 or 44m glazing. Choose your preferred type of window. Casement designs exhibit neutral sightlines and look at home anywhere. A bow or bay design will create an eye-catching feature outside and additional space within your home. Shaped versions are also available if you would like to further personalise your brand new windows. Residence 7 windows require minimal upkeep and maintenance, Your installation will retain its characteristic charm long after we have completed the work - leaving you with windows that will add enduring market value to your home. An occasional wipe down with a damp cloth is all that’s needed to look after your newly-fitted product. Residence 7 windows can respond to the design needs of any home improvement project. Your product can be tailored to reflect contemporary or traditional tastes - the choice is yours. The fine and even sightlines that characterise our Residence range will be sure to catch the attention of visitors or anyone who happens to pass by. Residence 7 windows fuse modern technology with a timeless aesthetic to deliver a market-leading product. Our windows will be built using processes, materials and shapes that will ensure your installation is compliant. If you live in a period home or heritage site, your traditional looking installation will blend in with the areas local character. Different glazing options are available with our Residence range. Whichever option you choose, you’ll be able to enjoy strong acoustic and thermal performance. A warmer and quieter home will be yours to enjoy once we’ve completed your installation. Stay warm during the colder months and enjoy a cooler space when the hotter weather returns. Whether you live in a new build in a city centre, or a country mansion in an area of natural beauty, we’ll use our extensive knowledge to create Residence 7 windows that meet your requirements in every way. We’ll help with the colour schemes and textures, and talk you through the extensive range of hardware and accessories on offer. We can adapt the design of your Residence 7 window to suit your design aspirations and allocated budget. This will involve talking to you about the customisation options available with your installation. We’d love to start that conservation with you, so please call or email us with more information. Use our window design tool to get prices in minutes. Explore the Residence 7 Windows to find a style and design that works best for you. Our team will be on hand to advise you - so please contact us today for guidance and prices. The Fox Windows team would love to help you with your home improvement or refurbishment project. We offer beautiful Residence 7 installations in Kenilworth, Leamington Spa, Warwickshire and surrounding areas. Please contact us by phone or via our contact form for a free Residence 7 quote.